In the evenings of ‘Classic Spey Descents’ & ‘Being with Nature’ Journeys, adults will be given the opportunity to sample high quality Speyside Malt Whiskies. If requested we may be able to programme in a distillery tour on one of the last days of a Classic Spey Descent. (Additional cost of around £8 for standard tour or £25 for exclusive Founders/Special Malts Tour ~ e.g. Aberlour or The Balvenie). 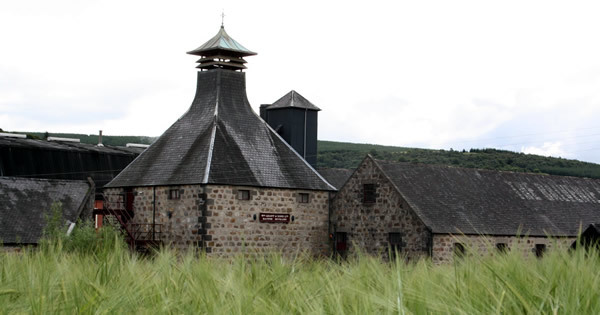 However, the True Spirit of the Spey a Journey for the whisky connoisseur or enthusiast wishing to gain a deeper, intimate knowledge of Speyside Malt Whiskies includes distillery tours and exclusive Whisky Tastings. Throughout the week, guests seeking to find the true ‘Spirit of the Spey’ will be taking part in personalised, guided whisky tasting sessions and special Distilleries Tours. Situated at the confluence of the River Lour with the Spey, this distillery is situated in the village of Aberlour, surrounded by glorious scenery including just outside the village, the rugged peaks of Ben Rinnes (~ another local malt!). Beyond canoe tuition it was great to be travelling with someone so knowledgeable on The Spey and with a genuine interest and concern for other river users, whether on or beside the water.